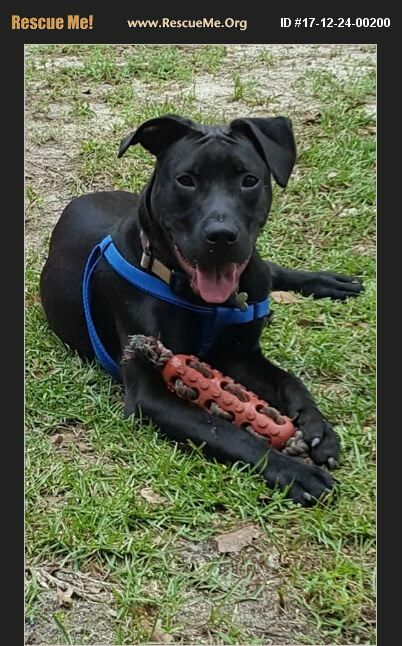 Harley is a 13 month old lab mix who was originally adopted as a puppy, but returned to us as a teenager due to lack of leadership and training. He wasn't quite sure where he fit in the world, so being the social opportunist that dogs are, he thought he'd take a shot at running the show. The problem is, Harley is not really cut out for leadership, and he made a mess. Young dogs need guidance and structure as they mature, otherwise they are insecure and out of balance, and that's exactly how Harley came back from his adopter. It doesn't matter how good your dog is, at some point during those teenager months, you sat back and said, 'What am I going to do with you?!?'. The answer for Harley: School! So off to training our hero went, and he slowly dropped a lot of his baggage and became that wiggly, giggly puppy we loved so much when he was a tiny lil thing. Now comes the next chapter in Harley's story...it's time to find this happy boy a foster or adopter who can take him home and practice the good dog manners he's learned. Harley is crate trained, housebroken and friendly with other dogs after appropriate intros. He loves kids, but he's a guy who thrives in a quieter home than a house full of kids can offer, so he's probably best matched in a quieter home to start with. He's got the typical puppy enthusiasm and excitability that you'll find in a 9 month old youngster, but he settles quickly and really wants to do things the right way. Harley is looking for a best friend with good character who he can look up to. He has been trained in the positive reinforcement style, and it's really helped him shed a lot of his insecurities, but there are still a few quirks that need a bit more time and maturity to fully resolve. At 45 lbs, he's a nice sized dog to take on pretty much any adventure, not too big and not too small! He's got a sunny, happy disposition and the best curly tail you're going to find. He comes with transition instruction and continued training consults during his settling in period, and beyond as needed. ��%BD��%BD��%BD��%BD This is really a nice boy who had kind of a rough start, despite everyone's best efforts to send him off on his Happily Ever After the first time. He develops a tight, trusting bond with people he loves and respects, and is more than willing to let you show him just how awesome life in the big world really is. If he knows you have his back, everything is A-OK in Harley's world. Does this little handsome fella sound like someone you'd like to meet? Email Diesel's Home at Dieselnight35@gmail.com. Location: Latta, SC.